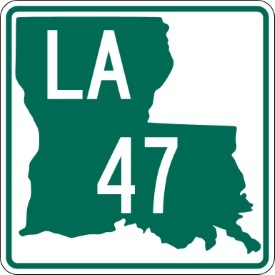 Louisiana State Route 47 runs north-south in Southern Louisiana. It runs from Louisiana State Route 46, at Chalmette, to Downman Road in New Orleans. Info on LA St Rt 47 is broken down by parish below.